This is my favorite app of all time. I have been using it for several years... grocery shopping, take out ordering, chore lists. My family knows, if it isn’t on Anylist, I won’t buy it. I was so sad for a while when my son and husband bought Samsung phones, and we had to try out other apps. For over a year, our finely honed process suffered, as nothing else worked as well. Thank you for finally supporting Android. The customizations are so easy, and even after all these years I’m still finding better, more efficient ways to use the app. Great job, thank you! One of the reasons I bought the Prime was to be able to keep a dinner diary. I really would like to remember who I served what and when. Isn’t this a service you could add? 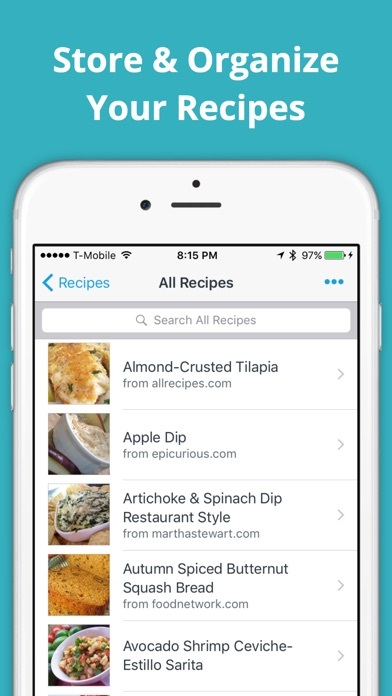 The ability to import online recipes into a single place and create easy, reusable shopping lists is a game changer. Hats off to the great UX designer! Needed a good app for notes and lists that I could use with Siri and Alexa devices and input manually with the phone. I really figured I would have to settle on an "okay" solution. 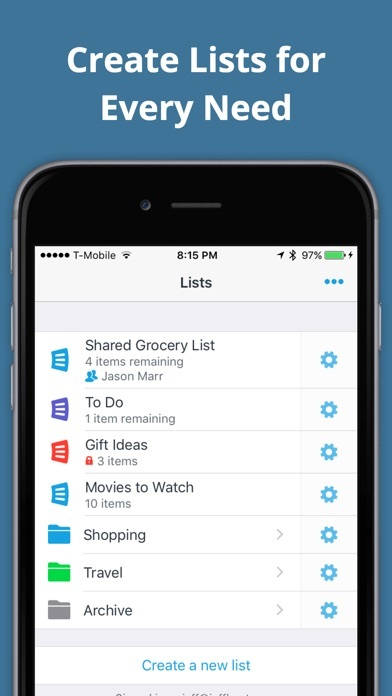 This is the best App I have used for lists and it brings both platforms together in a simple functional way. I can tell they care about what they do, and I really appreciate that. WE LOVE THIS APPLICATION !!! This is an absolutely fantastic program. My wife and I use it in tandem as our iPhones are synced through the program and we share ideas, menus, and grocery items as we prepare our weekly and monthly shopping lists. Outstanding!!! And the minimal cost is totally affordable. Thank you for a wonderful app!!! I LOVE this app. I am a list freak so it's right up my alley. I'm having fun experimenting with different organizational approaches. For a free app, this little baby rocks! After two years I finally broke down and bought the full version, which I SHOULD HAVE DONE from the get-go. 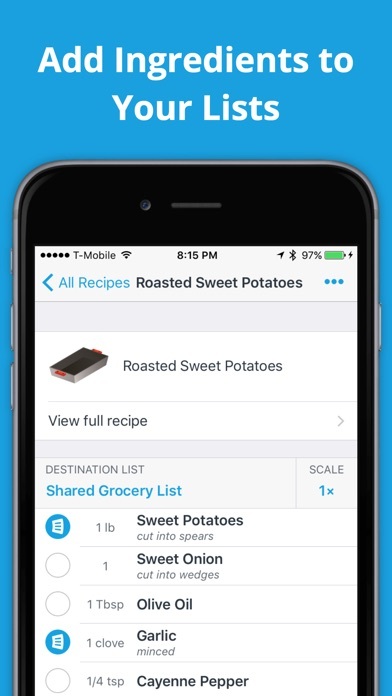 If you like saving recipes, and being able to select ingredients from a recipe into a shopping list (WHICH I LOVE), you will LOVE this app. This is by far my most utilized and favorite-ist app EVER. I bought the full version (which is CRAZILY affordable) because the convert-to-recipe function is AWESOME. And I like having a picture of the recipe. Best app EVER for anyone who likes to cook and needs reminders for shopping. BEST!!! EVER!!! My ALL-TIME FAVORITE APP!!! Good app for sharing with a shopping partner. Would love if this list integrated with a store’s personal shopping service! 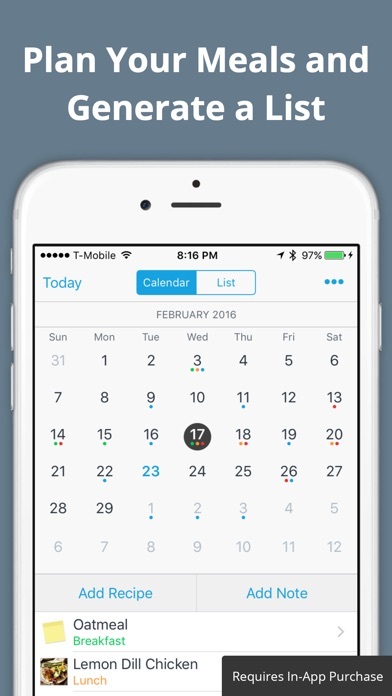 I have been using this app for a few years now and I have grown to depend on it, using it every day. It is how I finally got my husband to start helping out with grocery shopping. By adding a pic of the product, it makes it easy for him to find the right thing. It is also the only recipe book I use now. I highly recommend this app! This app has totally changed my life. I use it to make lists of things I have for a small business with pictures added so I don’t duplicate items. I keep my home repair items on another list. Groceries on another. Vacation items to pack-goes on and on. I recently upgraded and I am just getting the hang of recipes imported into the app. Some more organizing to do! Great 👍 app! So happy I stumbled on this one. 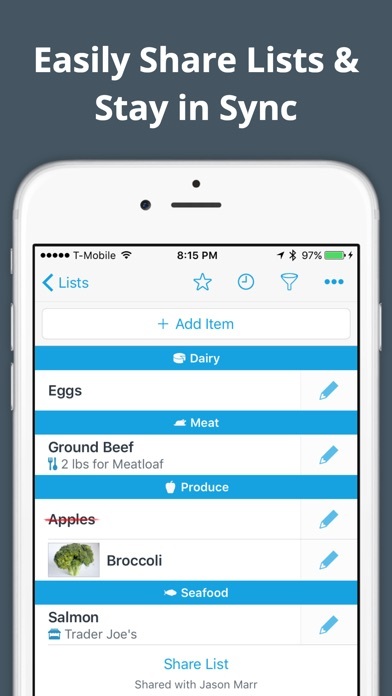 After using this app for about a month I LOVE it, I have lists created for more than grocery items, I keep lists for things that I need to locate quickly, etc. The recipe import is fantastic! More by Purple Cover, Inc.